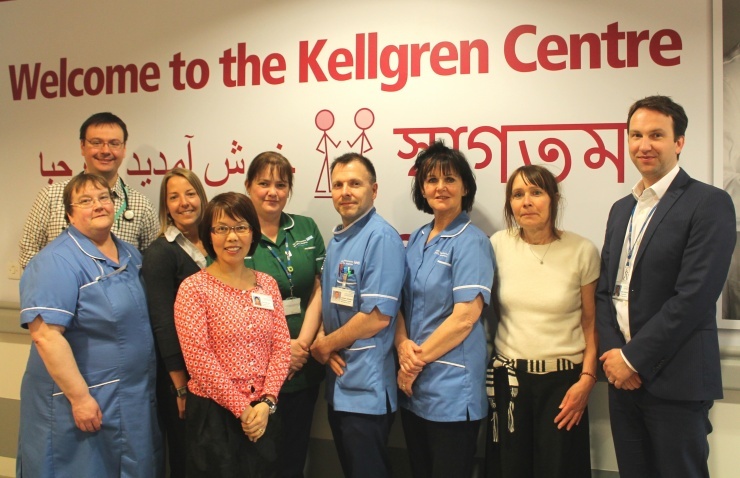 The Kellgren Centre for Rheumatology is a leading translational research centre with strong links to The University of Manchester Centre for Musculoskeletal Research, NIHR Manchester Biomedical Research Centre and Manchester Academic Health Science Centre. Professor Ian Bruce heads a team of multiprofessional staff who work together to undertake a wide range of musculoskeletal clinical studies. The aim of our work is to assess and improve response in the prevention and treatment of musculoskeletal disorders. There are many active observational studies and clinical trials within the department and we strive to offer all our patients the opportunity to participate in clinical research. We operate a dedicated weekly translational research clinic at the NIHR / Wellcome Trust Manchester Clinical Research Facility, specifically aimed at patients who may be developing an early inflammatory arthritis. A partnership between Central Manchester Hospitals and The University of Manchester, with the aim to assess and improve response in prevention and treatment of musculoskeletal disorders. Taking part in a clinical research trial has allowed Sandhya to become more involved in her young daughter's life. Research helps create a positive environment for patients, encouraging us to look into the future and look at how we can overcome obstacles such as disease management and psychological side.